Siri support can be added using an Intent and an IntentUI extension. This adds quite some overhead and is not always the easiest way in a big project, as you need shared logic between the main app and the extension. A much easier way to implement Siri support is by using NSUserActivity. 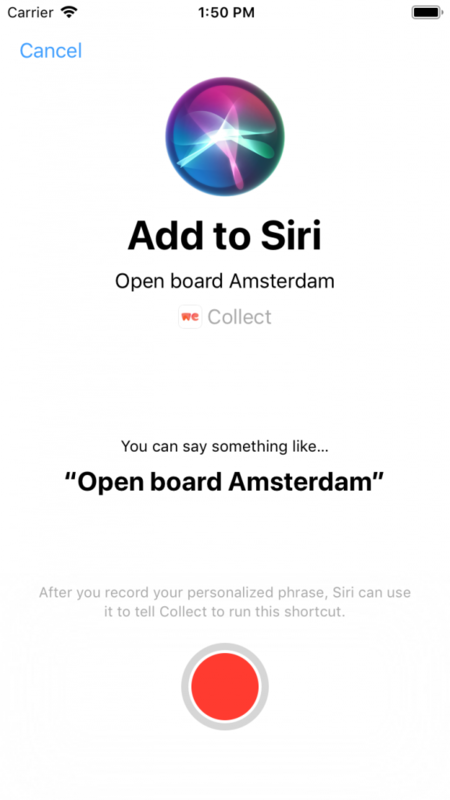 In this example, we’re implementing Siri support for opening a specific board in your app. Start by adding the Open_board shortcut to your info.plist for the NSUserActivityTypes key. After that, create an extension for the BoardDetailViewController which we like to open using Siri. For this, we need to import the Intents framework to make use of the suggestedInvocationPhrase property. 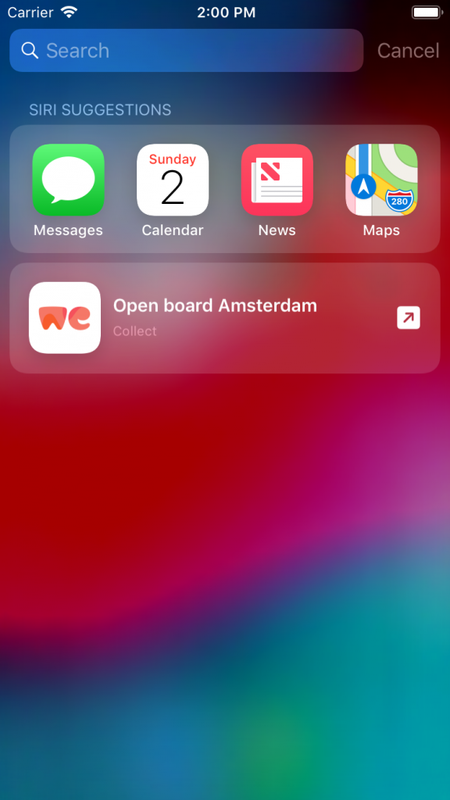 let title = "Open board \(board.title)"
This is an existing property on UIViewController and indicates that the app is currently performing a user activity. We set any needed information for deeplink to the page upon handling the Siri action. More about this later. This unique identifier is needed to make it possible to delete the activity eventually. To make it possible for your user to record a custom shortcut, we’re going to present the INUIAddVoiceShortcutViewController which is available after importing the IntentsUI framework. In our example, we’re creating a button in our UI which executes the presentAddOpenBoardToSiriViewController method. This will show a native iOS view with a record button for the user to create the custom Shortcut. Whenever the Open Board shortcut is triggered it will open your app with the continue user activity AppDelegate method. This is where you have to match the activity with our Siri activity and open the specific page. In our example, we’re starting the deeplink action to the requested board. That’s right, eligible for prediction. We get some extra functionality for free, as the activity will be used throughout the system to predict a certain user flow. 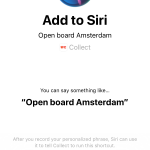 If the user is often opening the Amsterdam board in this example, it’s likely to show up in Siri suggestions.